The Legal History and Rare Books (LH&RB) Section of the American Association of Law Libraries, in cooperation with Cengage Learning, announces the Sixth Annual Morris L. Cohen Student Essay Competition. The competition is named in honor of Morris L. Cohen, late Professor Emeritus of Law at Yale Law School. 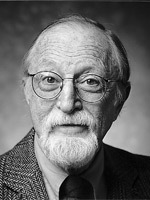 Professor Cohen was a leading scholar in the fields of legal research, rare books, and historical bibliography. The competition is designed to encourage scholarship, and to acquaint students with the American Association of Law Libraries and law librarianship. Essays may be on any topic related to legal history, rare law books, or legal archives. The competition is open to students currently enrolled in accredited graduate programs in library science, law, history, and related fields. The entry form and instructions are available at the LH&RB website. Entries must be submitted by 11:59 p.m., March 17, 2014.